Twister, the 1996 disaster flick, starred Bill Paxton and Helen Hunt as researchers chasing tornados. It was the movie with the iconic scene of a cow flying across the screen. Twister had a worldwide box office gross of almost a half billion dollars. That’s a lot of money. 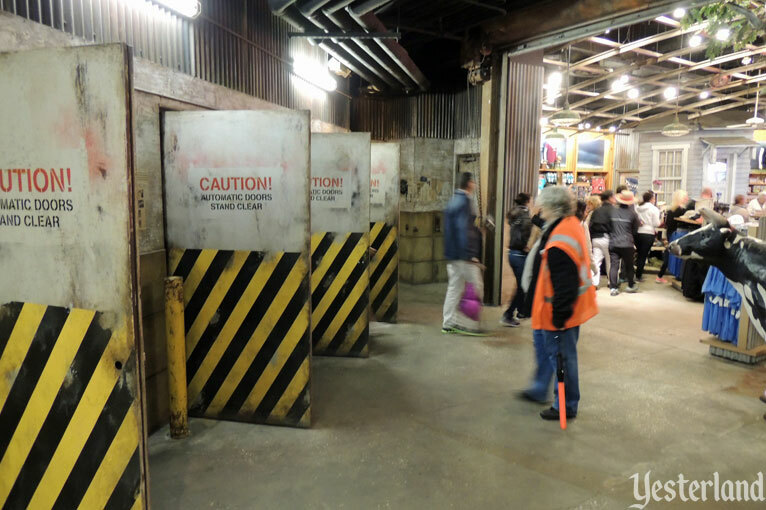 So it’s not surprising to find a theme park attraction based on it. Tornados cause massive damage. Tornados kill. 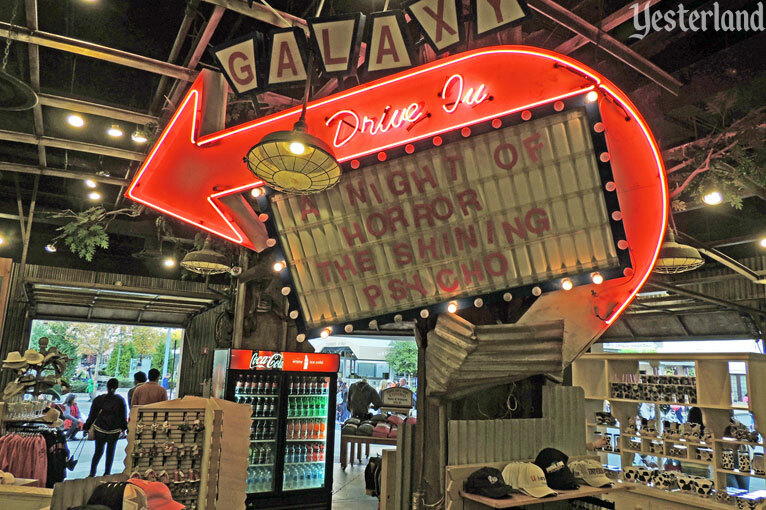 Fortunately, this attraction won’t harm you—unless you consider it harmful to have your back pelted with water and your hair messed up by wind. 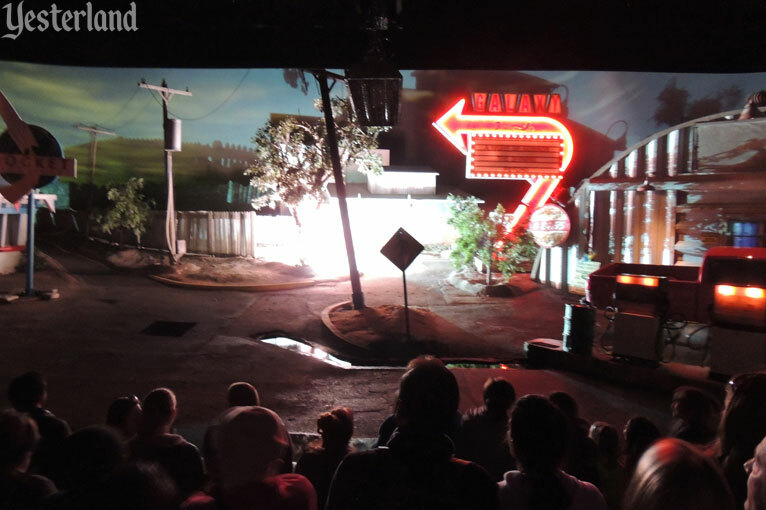 Befitting its location in the park, part of the show building is themed as a Production Central soundstage and the other part as a brick New York building. For some odd reason, your Universal Studios map shows that the attraction is part of New York. Who knew that Wakita, Oklahoma is part of New York? 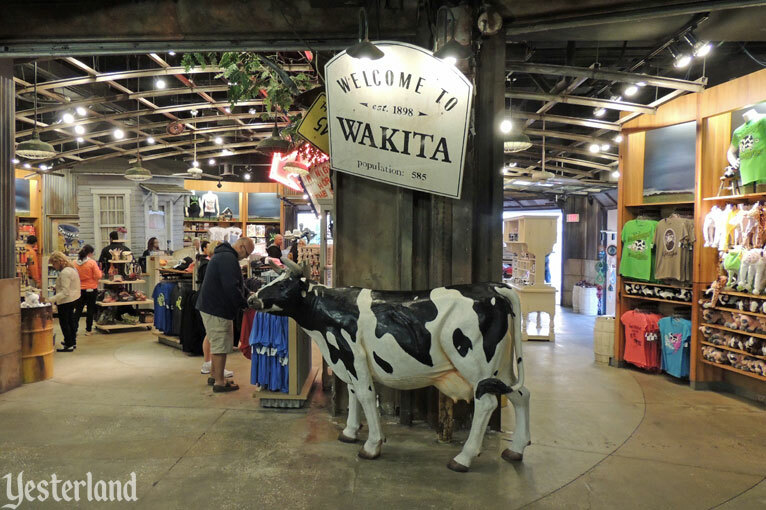 Wakita is where the movie took place, and that’s where this attraction takes you. 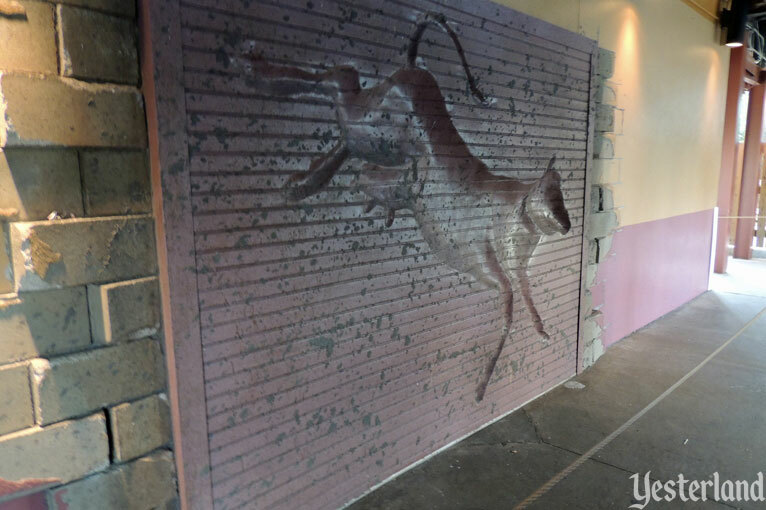 Look for the tornado-damaged soundstage. The billboard at its top is still readable, despite what the wind has done to it. 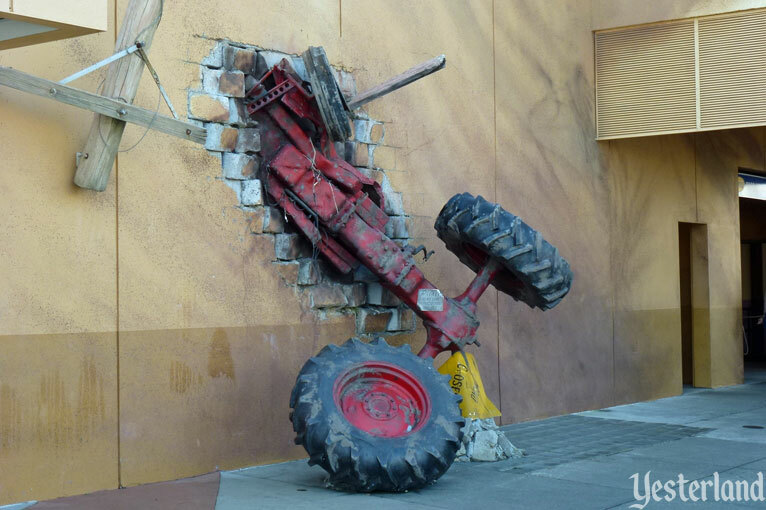 But the tractor embedded in the wall will probably never plow a field again. 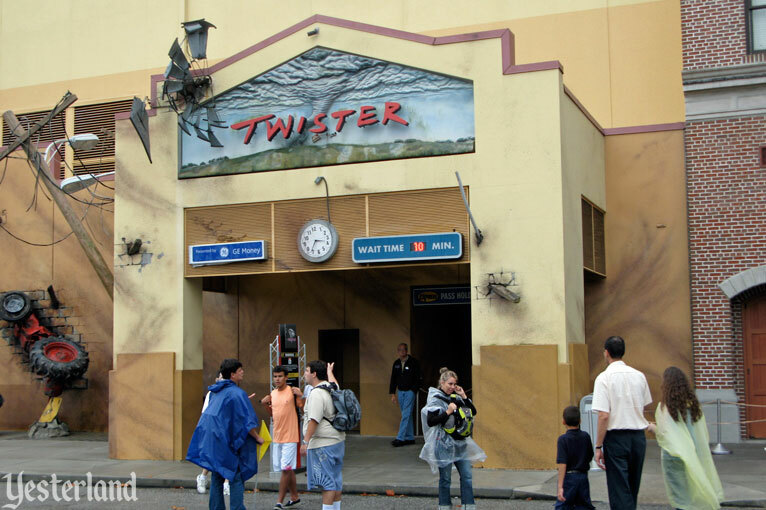 The sign just says “Twister,” but the full name of the attraction is Twister… Ride It Out. Despite having “ride’ in its name, this is not a ride. It’s a walkthrough—or, more accurately, a walk-and-stop. 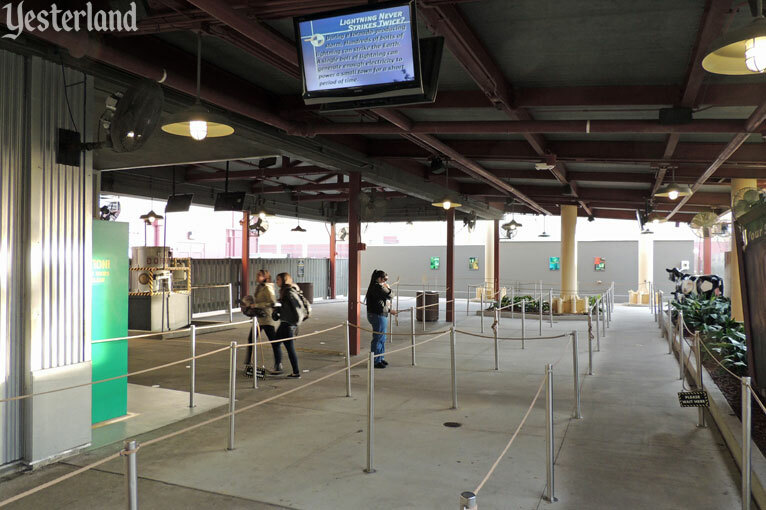 There’s room for a lot of people in the outside queue. Read the fun weather facts on the monitors. The good news is that you probably won’t be out here long. 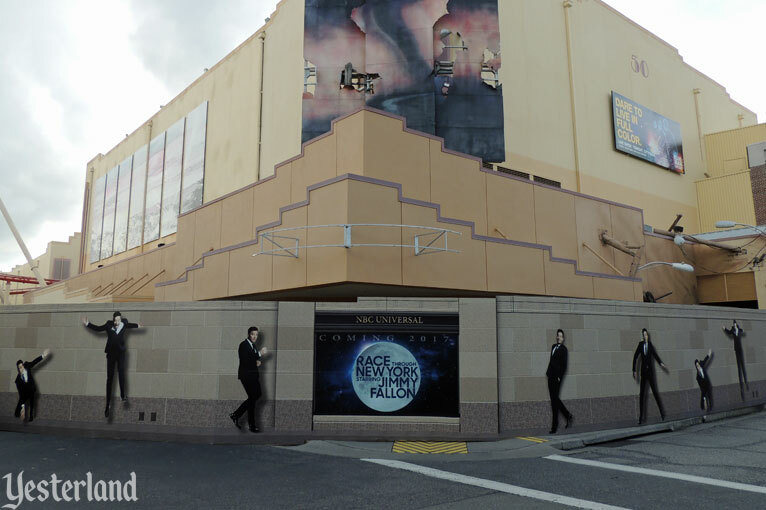 The doors to Soundstage 50 open, revealing a black room with two screens for the pre-show. 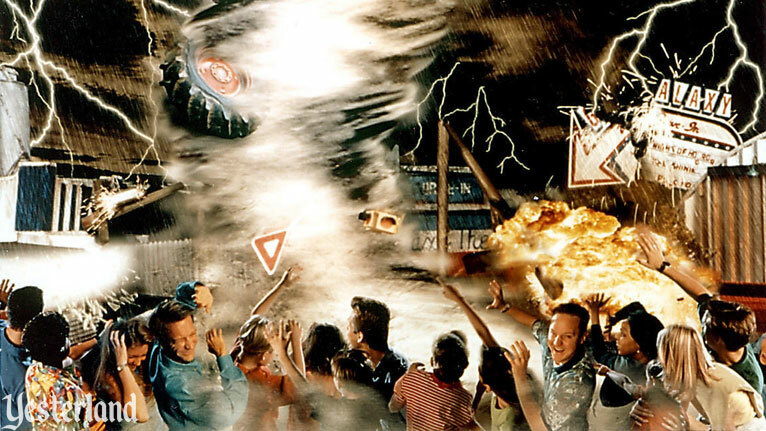 The pre-show begins with the two screens showing some of the most terrifying storm scenes from the effects-laden movie. 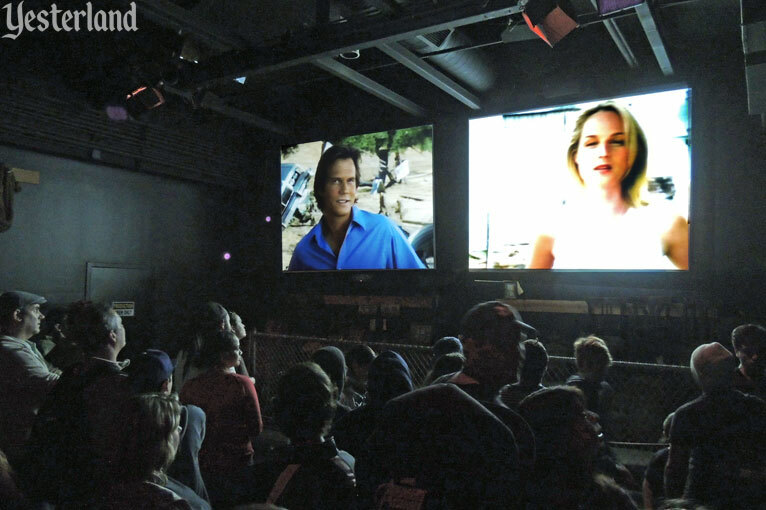 Bill Paxton and Helen Hunt, appearing on separate screens, tell you about tornadoes. If there’s an Academy Award for “most wooden performance by an actor in an attraction pre-show film,” the winner would be Bill Paxton for this role. His performance has been called “monotone” and “phoned in.” It’s not clear if Paxton was trying to be dramatically resolute, or if he just really didn’t want to do it. Helen Hunt delivers her lines well. After the pre-show, it’s time for… another pre-show! This time, you’re in a storm-damaged corridor. Appearing on TV screens strewn throughout the damage, Paxton and Hunt tell what it was like to make the movie. Your next stop is the main show. What it’s like to be a real storm chaser, looking a tornado right in the eye and braving the worst nature can throw at you. Twister… Ride it Out® re-creates all the nail-biting excitement and unforgettable moments from one of the most action-packed movies of all time. Grab onto the railing or you’ll be sucked into the swirling vortex of a tornado measuring F5 on the Fujita scale. You’ll withstand the powerful winds, deafening roar and pulse-pounding intensity of a monster storm with a mind of its own. A voracious beast, the twister will consume everything in its path… shattering windows, hurling trucks, and crushing enormous signs in a total assault on your senses – with you right in the middle. From the first flying debris to its fiery conclusion, it’ll blow you away! Yes, there’s a real funnel cloud. Your platform and its roof are not immune from the storm, leading to the scariest moments of the show. Oh, and a cow flies by. 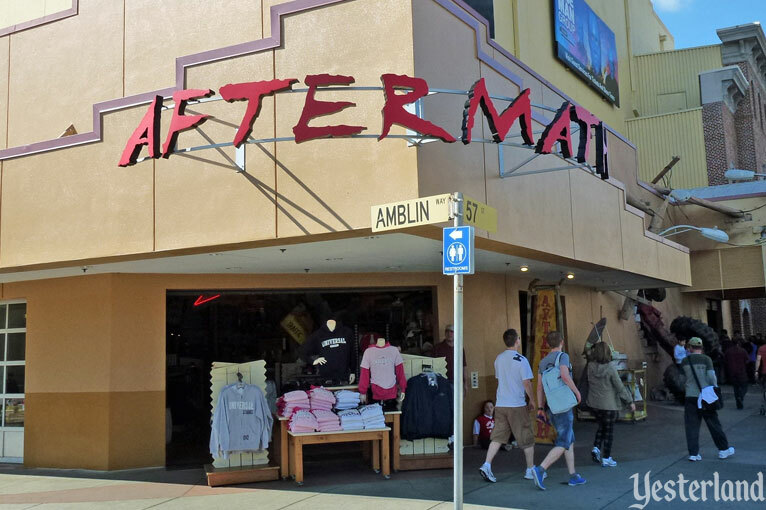 The aftermath of the storm you just witnessed is a large gift shop—called Aftermath. 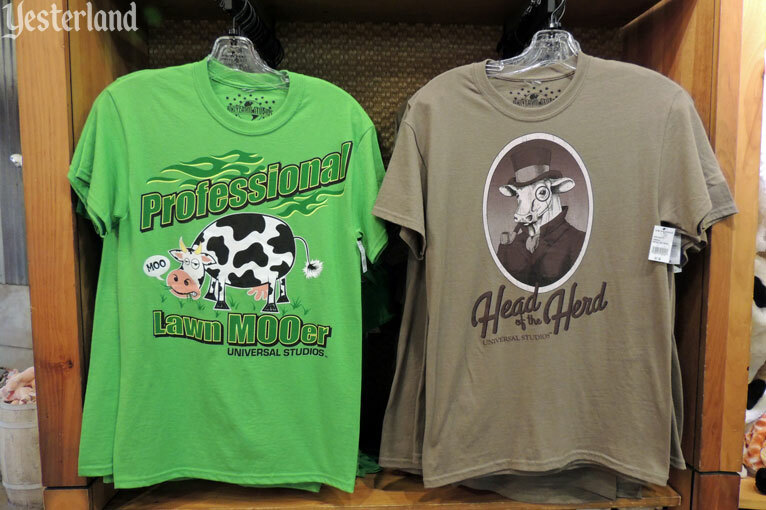 The park’s merchandise gurus have a brilliant solution. After all, the movie’s most famous scene features a cow. 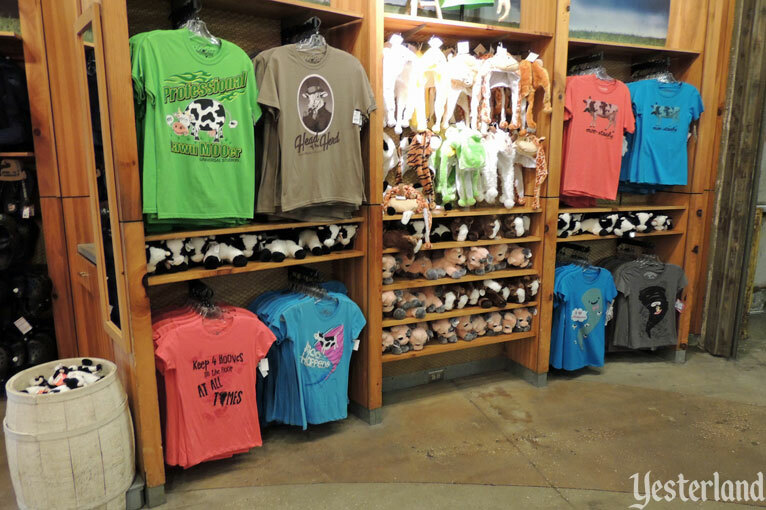 If you don’t care about tornadoes and storm chasers, but you like cows, consider entering the gift shop from its outside entrance. 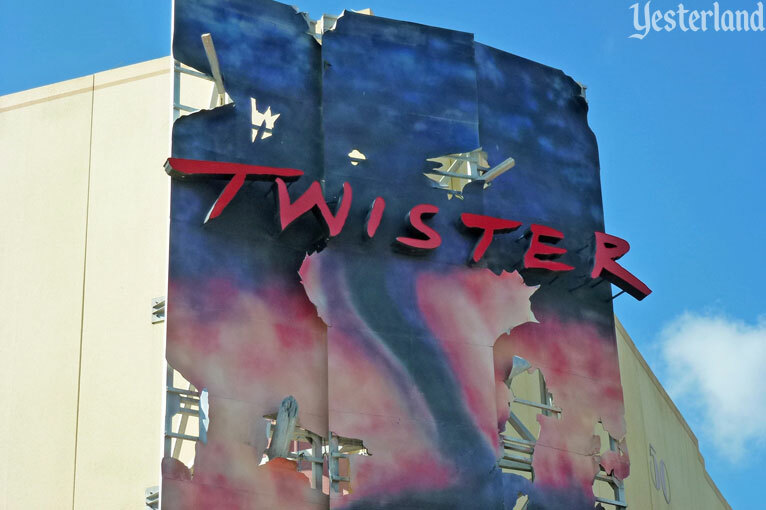 Twister… Ride It Out opened May 4, 1998, at Universal Studios Florida in the space that had previously been Ghostbusters Spooktacular (June 1990 to November 1996). The opening of this simulated tornado had been delayed a month due to real tornadoes. On February 22, 1998, seven real twisters had hit the Orlando area, killing 42 people—the deadliest wave of tornadoes in the history of Florida. Twister… Ride it Out had a run of more than 17 years, although it was often closed during slow periods in its later years. 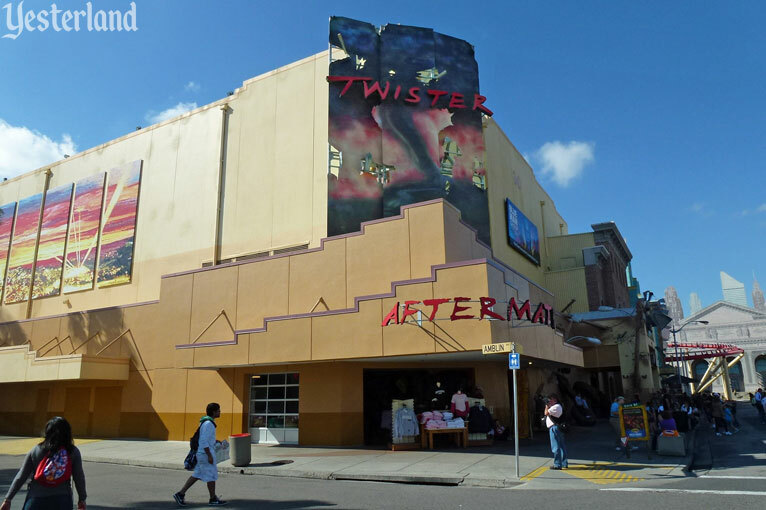 As planned, Twister…Ride It Out closed quietly on November 2, 2015. Having Race through New York Starring Jimmy Fallon in the New York area of the park actually makes sense.